This pretty Mothers day card is perfect for you to send your love on Mothering Sunday. 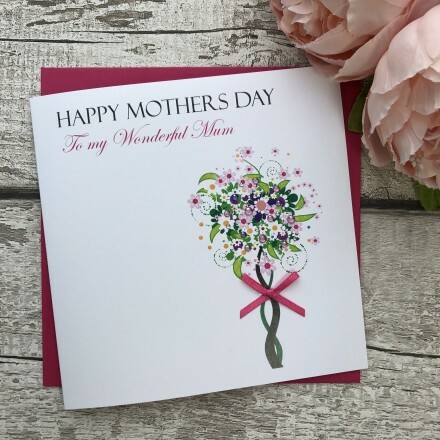 A lovely handcrafted mothers day card that features an image of a floral tree generously decorated with sparkling gems. A beautiful personalised mothers day card is quite special to give your mother.